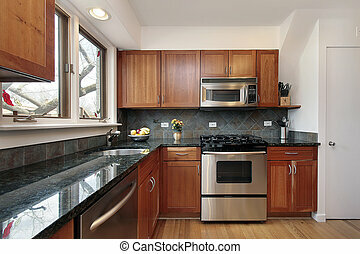 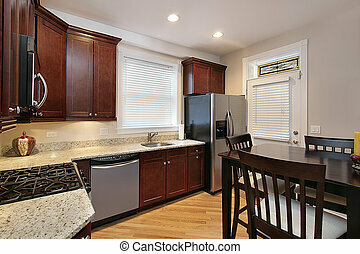 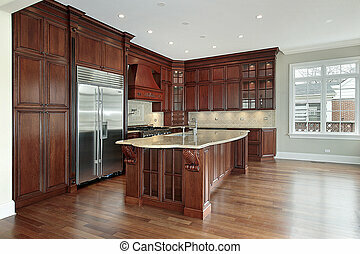 Kitchen with cherry wood cabinetry. 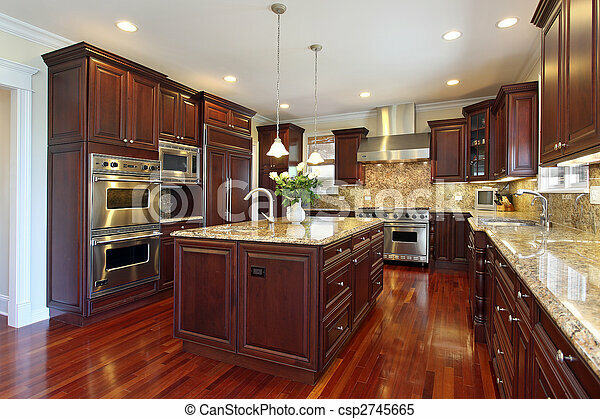 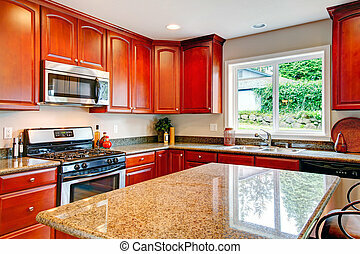 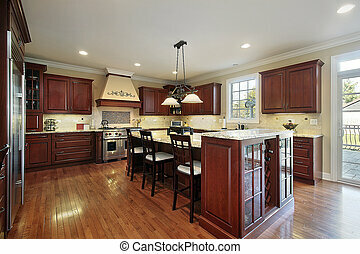 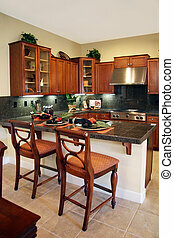 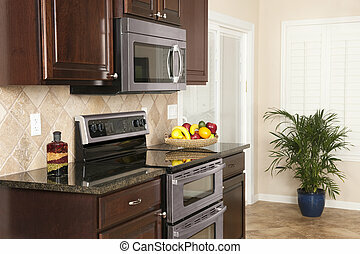 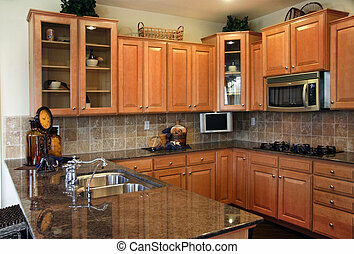 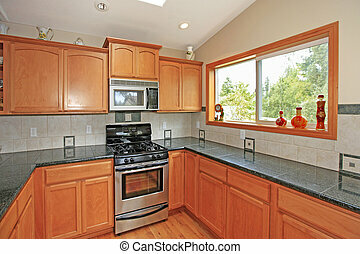 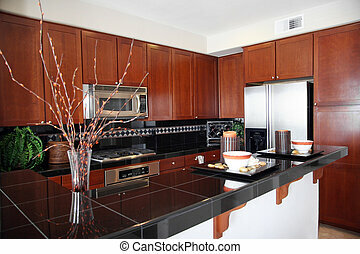 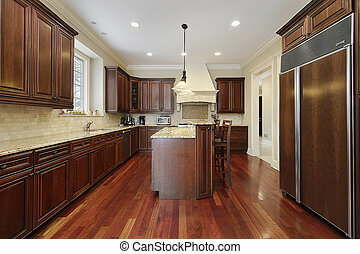 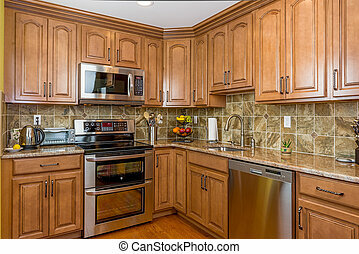 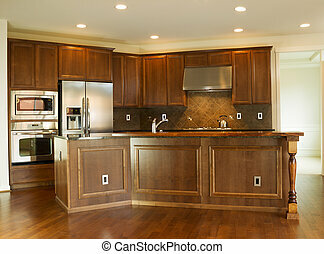 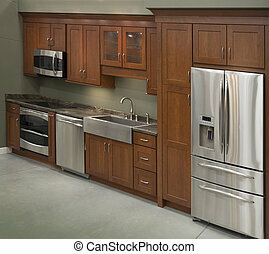 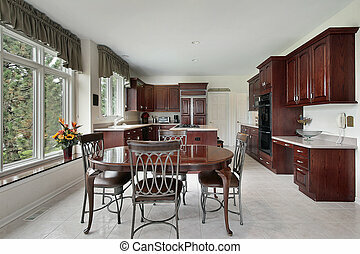 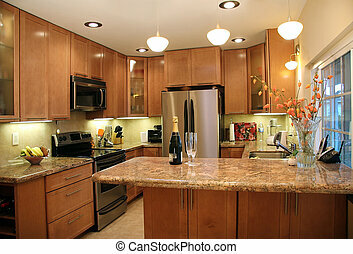 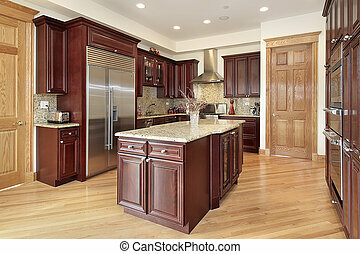 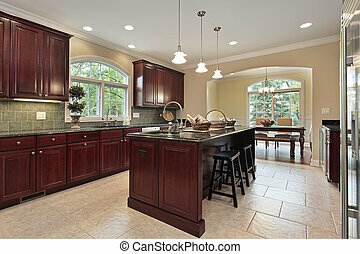 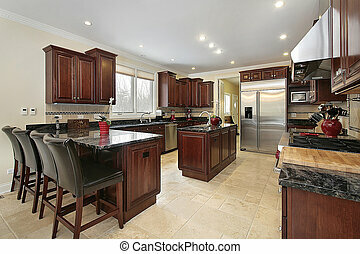 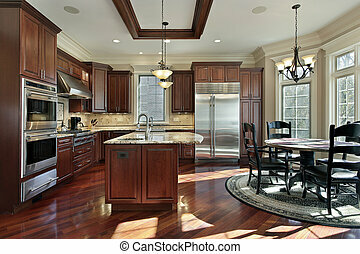 Kitchen in luxury home with cherry wood cabinetry. 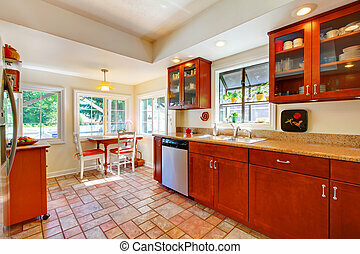 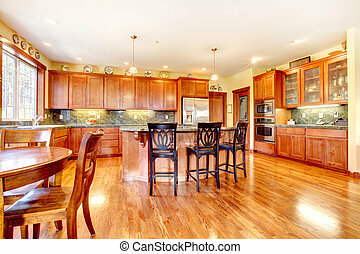 Cherry wood kitchen with tile floor and sunny table home interior. 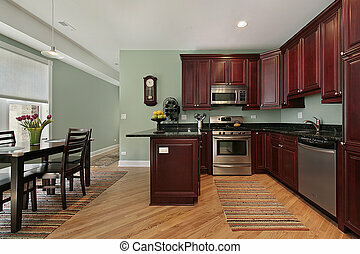 Luxury beautiful large cherry wood kitchen with green and yellow. 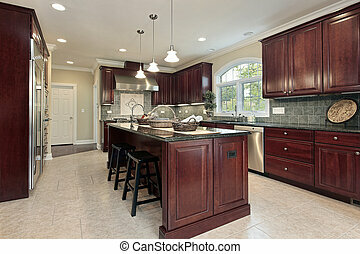 Amazing custom build kitchen with dark cherry cabinets in custom built home for sale. 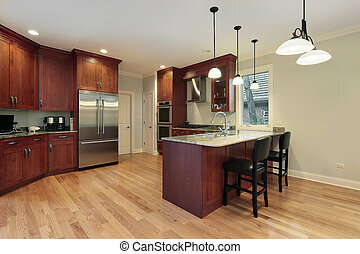 Lakewood, WA. 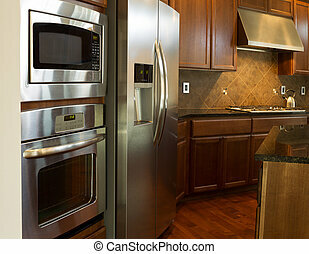 Canon 5D Mark II. 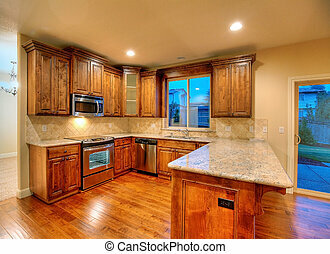 Three exposures combined. 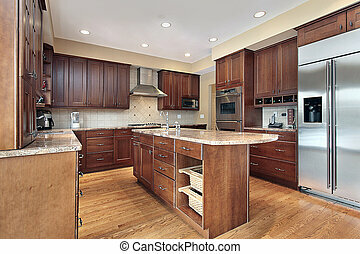 Cherry cabinets, large kitchen in a nice home near Tacoma, WA. 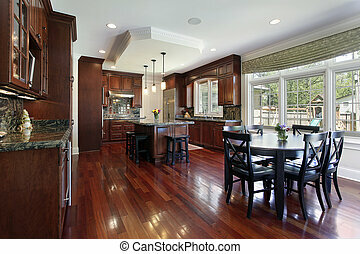 Canon 5D Mark II.16mm. 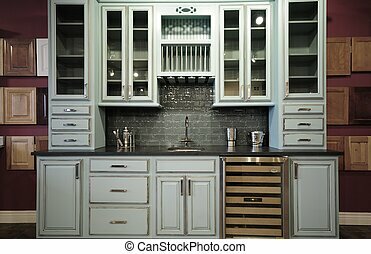 A small modern kitchen with stainless steel appliances, modern cabinetry and beautiful shutters remodeled to an earthtone theme.